Ethan H. spotted the past and the future of the Orange Line at Ethan H. spotted the past and the future of the Orange Line at Oak Grove today. The new cars, some of which were originally supposed to go into service in December, are now scheduled to begin carrying passengers this spring, maybe. Read more. 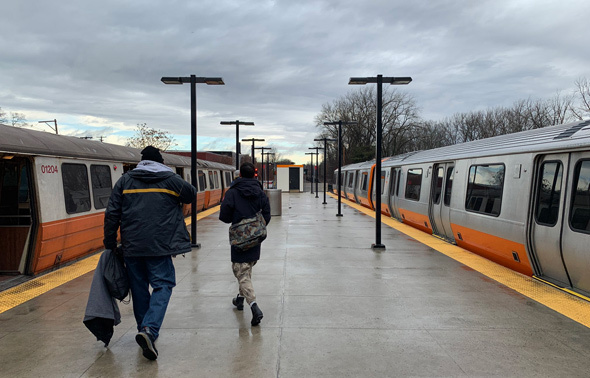 The MBTA reports delays of up to 15 minutes on the Orange Line due to signal problems at Oak Grove. Allegedly pissy man under arrest. Photo by rm -rf *. Transit Police report arresting a Malden man (um, of course?) at the Oak Grove Orange Line station last night after he allegedly urinated on a parked Transit Police cruiser and then, with that out of his system, ripped off one of its license plates and tried to smash in a window. At 7:37 a.m., the T reported that it had fixed signal problems at Oak Grove and that "regularly scheduled service" had resumed. At 8:46, Kristen W reported: Nope. Horrible delays on the Orange line today...and some cars aren’t even opening? 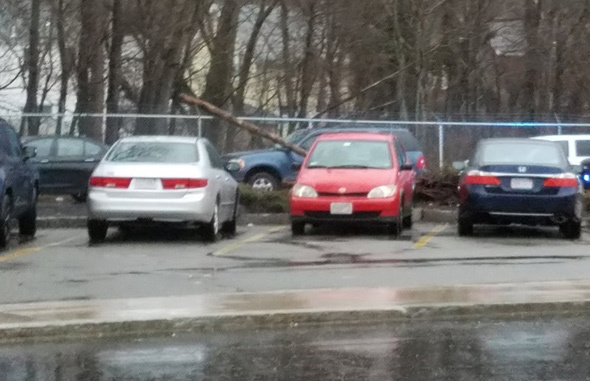 By 7 a.m., Snoe reports, several trees had fallen in the area of the Oak Grove Orange Line station, including one that came down on an SUV. Read more. The MBTA reports "minor" delays on the Orange Line due to a suddenly very still train at Oak Grove. The T's Joe Pesaturo shows us the trees that came down on the Orange Line tracks near Oak Grove late this afternoon. The T swapped in buses, but, of course, they had some trouble keeping up with the demand, as Jill shows us at Wellington: Read more. 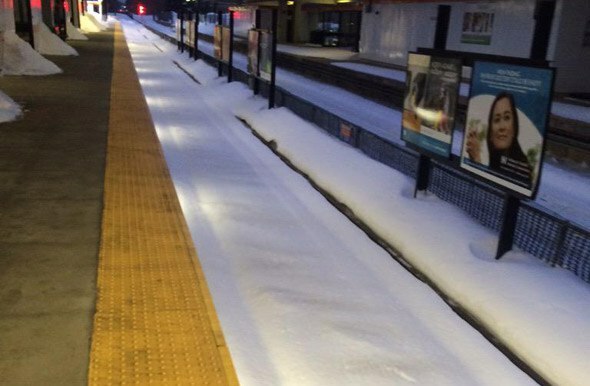 "Moderate" delays on the Orange Line due to signal issues at Oak Grove, the MBTA reports. Transit Police report arresting a Brighton man on charges he molested a woman on the Orange Line between Downtown Crossing and Oak Grove Saturday evening. Delays into Boston still just "minor," the MBTA says. We've had quite enough of this, thank you very much. Feb. photo by Rich. Starting tonight, the T will be shutting down the Orange Line between Wellington and Oak Grove starting at 8:45 p.m. at night so workers can get the tracks ready for winter - except for Friday and Saturday nights, when service will run as usual. You may recall that particular stretch of Orange Line proved particularly troublesome in the winter of our discontent. Workers will be installing heaters along the third rail and at switches to prevent the tracks from turning into a glacier again, in a $12.7 million project, MassDOT reports. At Malden Sta at 7:15am; SB "shuttle" train too full to get on. Now heading NB to OG so I can circle back to Wellington. People busted open the windows to let people out. Oak Grove is literally biggest disaster ive ever seen in my life. Accidents, fights, ZERO spots. AVOID! JulesB captured the scene outside Oak Grove station early this morning. Is the Orange Line traveling near the speed of light? Aaaaaand to summarize, sat in my seat at 6:59 at Oak Grove, arrived Ruggles 7:58. An inbound Orange Line train didn't even make it out of the starting gate at Oak Grove early this morning. Somewhere on the Ashmont branch of the Red Line, an outbound train felt that disturbance in the Force and went over to the dark side. A train died at Oak Grove around 8:30 a.m. 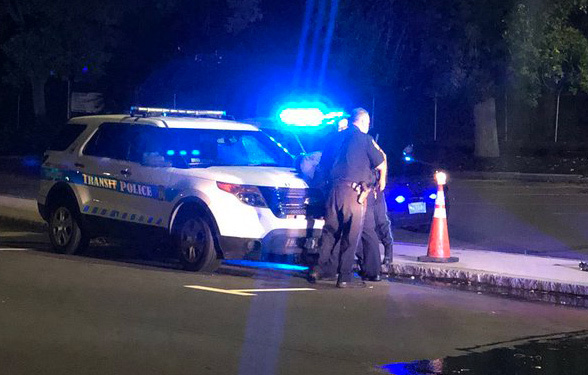 Transit Police report arresting a Wakefield man on charges he repeatedly punched an MBTA bus driver in the face this morning at Oak Grove after the driver wouldn't let him board because his CharlieCard didn't have enough funds. O'Donnell tapped his Charlie Card on the fare box which indicated insufficient funds to cover the fare. The bus operator explained this to O'Donnell who became belligerent and demanded to ride for free. The bus operator refused and after withstanding O'Donnell's verbal tirade requested he exit the bus. As O'Donnell was exiting the bus he turned and spat at the bus operator. Subsequent to that a struggle ensued where the victim/T employee was struck with a closed fist multiple times in the face causing injury and severe bleeding from his nose. O'Donnell is now scheduled for arraignment in Malden District Court on a charge of assault and battery, police say. MBTA Transit Police report arresting a Boston man for allegedly masturbating in full view of other Orange Line riders from Oak Grove to about Wellington, around 4:45 p.m. on Saturday. Guy's scheduled for arraignment today on a charge of lewd, wanton and lascivious conduct. Was about to say this was the least problematic Orange Line commute in weeks. Then the train wouldn't move. What you don't want to hear on the Orange Line: "Sorry guys, this train just won't move, you will need to use the other train."